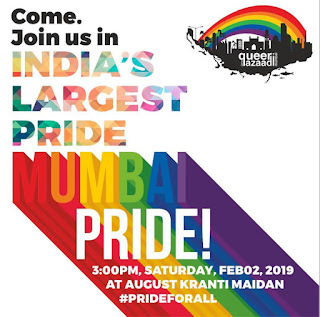 Writer Apurva Ashrani tweeted, "You don't have to be lesbian/gay/bisexual/transgender or queer to walk #MumbaiPride today. You just need to celebrate love, freedom & the glorious democracy that India is! Come to August Kranti Maidan @ 3pm today to a pride that some of us waited our whole lives for. #PrideForAll"
Thousands of people took to the streets for the pride march, celebrating equality and an end to sexual discrimination.